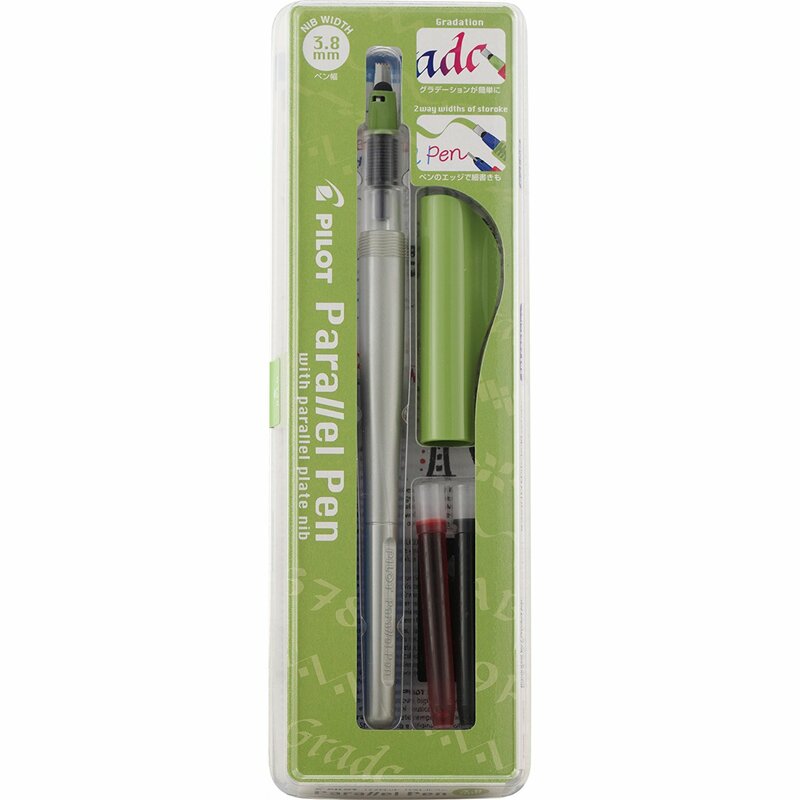 Pilot Parallel Pen | Cosmos Bazar Inc.
Produce attractive Calligraphy lettering for your work or crafts with The Pilot Parallel Pens! 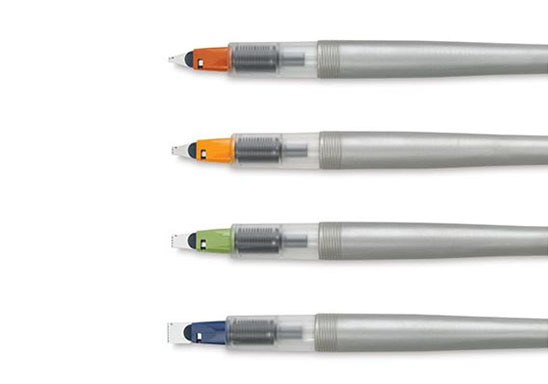 Comes in Four nib widths variants 1.5 mm, 2.4 mm, 3.8 mm and 6.0 mm. 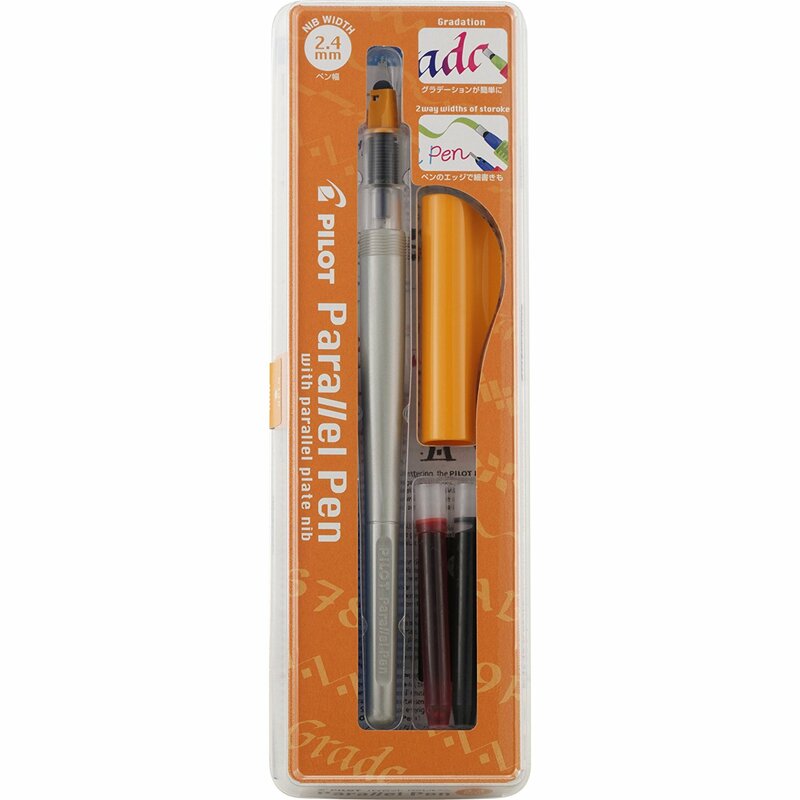 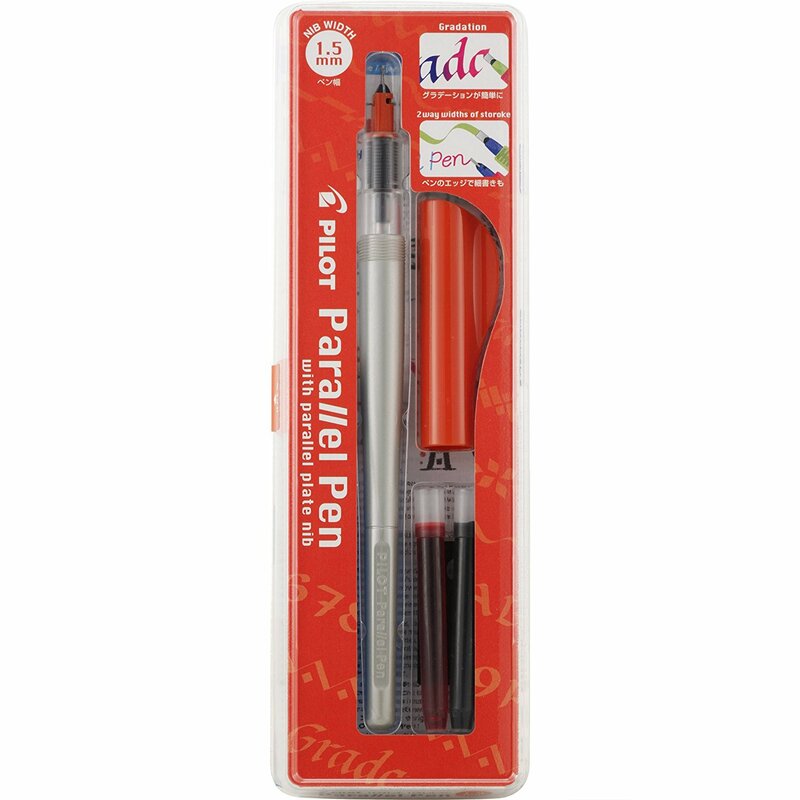 Pilot Parallel Pen sets includes one black and red ink cartridge, one pen cleaner pipette, one nib cleaner, and an instructions pamphlet.